View More In Portfolio & Case Ring Binders. 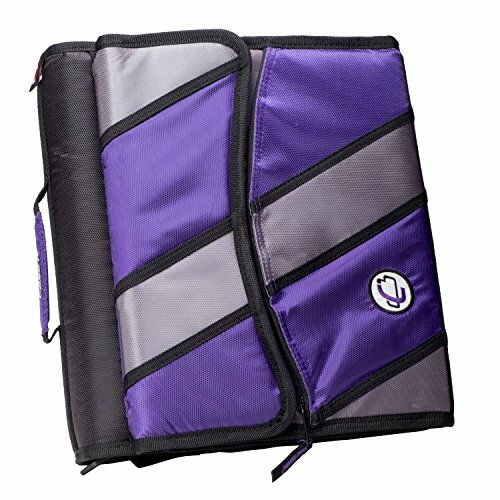 The Case-it D-901 Sidekick Zipper Binder with Removable Tab File is an efficiently-designed organizer that features both a 3-ring zipper binder with inner mesh pocket and a removable expanding file with five colored tabs and external zipper pocket. This versatile organizer also features rigid body construction and a handle and shoulder strap for easy mobility. The D-901, like all of Case-it's binders, uses Kraft board instead of PE board to give its binders a firm, stiff shape that won't buckle or warp. The spine is specially designed so that your binder can lay flat when open, making it easier to add or take papers out, and to take notes in. Case-it produces quality binders offering unique organizational tools for school or home use. If you have any questions about this product by Case-It, contact us by completing and submitting the form below. If you are looking for a specif part number, please include it with your message.